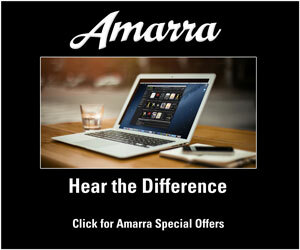 Is the emerging world of better quality audio going to have a name that everyone will recognize or not? Last Friday I got a phone call alerting me to a major marketing effort for “better fidelity” music that will be taking place in several months. 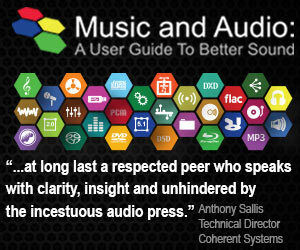 It’s true that there’s been a ground swell of support around the concept and reality by small audiophile labels, by organizations like NARAS (National Academy of Recording Arts and Sciences) and the CES (Consumer Electronics Association), by electronics companies of all sizes, artists and even the major record labels. I was interested and encouraged by the information I received but needed to ask one question. What will the initiative be called? I didn’t get an answer. I’ve spent a fair amount of time on this site talking about many of the aspects of this new movement but have been using my own designation…HD-Audio or High Definition Audio. Many of the people and organizations involved in “better fidelity” audio refer to it as high-resolution audio or hi-rez audio. In fact, when I first started investigating using higher sampling rates and longer word lengths, I referred to it as high-resolution audio as well. 1. Using a single uniform term ensures all participants deliver a consistent branding message. If the supporters of high quality audio use different terms for the same essential concept, the public will be confused and avoid the new possibilities that the formats offer. There might even be a sanctioned logo that will indicate to consumers that a particular piece of equipment or software meets a certain specification. 2. High Definition is more familiar to the public than High Resolution because of the successful campaigns associated with television displays. When the older NTSC CCIR-601 standard format of 720 x486 pixels in a 4:3 aspect ratio was eclipsed by the ATSC’s (Advanced Television Standards Committee) HD-Video specifications (1920 x 1080 or 1280 x 720), they didn’t call it high-resolution television. We moved from standard definition to high definition just as we are now moving from HD-Video to Ultra HD-Video with the quadrupling of the number of pixels once again (the former 4K standard opted to use the name HD). They know it’s widely recognized and therefore makes for an easier transition. 3. 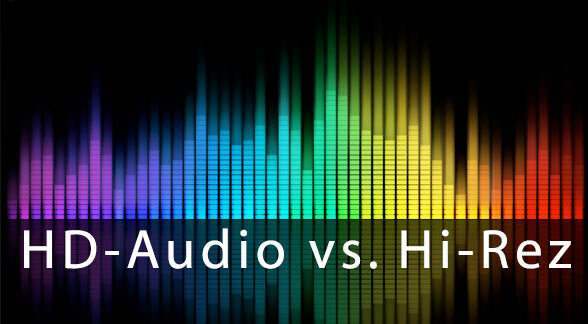 The shortened form of HD-Audio is more compelling as a branding element than hi-rez and easily tied to the existing HD-Video. There may even be a move to Ultra HD-Audio in the near future as we move from 96/192 kHz and 24-bits to number in the 384/768 kHz and 32-bit range. The use of HD works to define video AND audio. 4. The HD-Video analogy continues when we use the name to refer to a set of agreed upon technical specifications. There are lots of technical working groups and organizations that struggle through establishing the details of a universal standard. The audio/music industry hasn’t adopted the same structure. If company A wants to say that their 44.1 kHz/16-bit PCM digital files are “High Resolution” or “High Definition”, no one can complain because there is no real standard. I routinely rant against the over use of the “high” definition or resolution association that marketers use for audio that doesn’t meet any standard. If it helps sell more downloads or copies then so be it. So there’s my case for using the letters “HD” for high quality audio. It simply makes more sense to me and so I will continue to use HD-Audio to describe it. And it has to mean something as well. The initiative that I learned about on Friday looks to be another exercise in marketing and less about establishing standards and making sure a consistent message is provided to consumers. A number of years ago, there were buttons passed around to vendors at the annual CES show that said, “We Support HD-Audio”. When I inquired how the CEA people were defining the term HD-Audio, they told me it was anything better than a compressed MP3 file. It was another example of a good idea undermined by the tired old vested interests and marketing folks that don’t understand that a clear and truthful message will always win in the end. So I’m very curious if you have a preference? Please leave a comment or write to me and let me know if these points make sense to you. 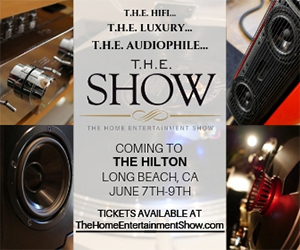 Are we on the brink of the new age of HD-Audio or High Resolution Audio? I agree that “HD-Audio” is a good term for any audio format that has longer bit lengths and sampling rates than CDs have. It corresponds to the already established HDTV concept and conveys meaning to consumers/shoppers. However, some sort of industry standards need to be established to differentiate amongst the current and future word lengths and sampling rates. I would suggest referring to CDs as a baseline and call it “Standard Definition” (SD). The lowest audio resolution to be classified as “HD-Audio” should be the one that can be clearly and repeatably demonstrated to be superior to Redbook CDs in both measurements and subjective listening sessions. I realize that proving scientifically that high resolution digital audio formats are superior to Redbook CDs will be somewhat difficult to setup and the testing method will need to be agreed upon. However, if “HD-Audio” does not sound better subjectively than Redbook CD to typical consumers, what is the point of it even existing? Until an audio format can be proven to be superior to CDs repeatedly in both typical audio measurements (dynamic range, distortion levels, frequency range, etc.) and subjective listening tests, we are probably better off refraining from calling it “HD-Audio” and reserve that label for a future format/technology that is clearly superior. Thanks for the response Tim and I agree pretty much with what you’re saying. I’ve been saying that CD-Audio specs should be labelled “standard definition”. 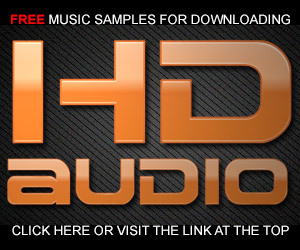 However, I have some problems with the “HD-Audio” being references to something “that can be clearly and repeatably demonstrated to be superior to Redbook CDs in both measurements and subjective listening sessions.” I think we can agree that HD-Audio at 96 kHz/24-bits has the potential to be superior to CD-Audio in specifications. But whether a particular recording exhibits dramatically better sound is a study that has yet to take place. In fact, I want to be the one that does that study with REAL HD-Audio sources and a system that can achieve those levels of playback. Even if we cannot prove it scientifically establish that HD-Audio is superior to Redbook, it can still be labeled as HD by the specifications alone. Perhaps the methods for establishing it’s “audible” superiority is beyond our current ability to measure it. I have some doubts regarding the 5.1 channel HD audio reproduction from a hard drive high resolution audio 5.1 streaming. The current DACs only have 2 channel analog audio outputs and even the Oppo BDP-105 or BDP-103 decode only 2 channel from the USB input. My case is that I have multichannel audio streaming recordings in a hard drive at a 24-96KHz or 24-192KHz resolutions and intend to reproduce them in full HD 5.1 analog channels. How can I proceed to listen to these streaming recordings thru the USB output of my computer if the current DACs in the market only output 2 channel stereo? Even the Oppo BDP-105 only recognizes 2 channel at 24-96KHz or 24-192KHz when fed thru its USB input. 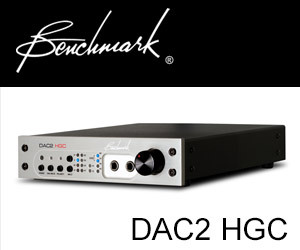 Is there any DAC processor that accepts an USB input streaming in full 5.1 channels 24-96KHz or 24-192KHz resolution and outputting it in all 5.1 analog channels maintaining its full resolution? Thanks in advance for your attention regarding his matter. Ronaldo – I’m a fan of multichannel audio and play my 5.1 96/24 surround music files using my Oppo BDP 95 or 105 all the time…so I’m doubtful of your claim that the 105 is “only channel from the USB input”. If you plug a 5.1 interleaved file into the Oppo using the USB input or attach an eSata HD, you’re in business. I know that most makers of high-end DACs are locked into the world of stereo but even those can be made to produce 5.1 surround if you own three of them. The Mytek has a specific clock I/O for just that reason. I listen to my 5.1 files with my HTPC. It might not be the most expensive or best setup out there, but the sound is pretty amazing. I use an Asus Xonar Essence ST 24-bit 192kHz interface audio card with the added H6 output upgrade, which essentially is a full 7.1 setup. I only use 5.1 though. The analog outputs are plugged directly into my Parasound 5 channel Amp and into the Subwoofer. This is the directest way you can go, really. I have close the 400 albums in HD, real HD? – that’s another matter – of which around 130 are in 5.1/5.0. Try something like that and I promise you will be happy.